From information from other family members, Lois Olive Russell was married to Squadron Leader Frederick White, before marrying Percy Bernard (the Earl of Bandon) in 1946. Today, I decided to see if I could find a record for this marriage to Frederick Arthur White. I then clicked on the page number, and confirmed that the spouse was Lois Russell. I then decided to see why I hadn’t been able to find the marriage at Ancestry. 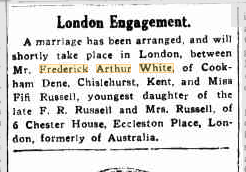 This time, I decided to look for the marriage of a Frederick White in 1924, in the UK and Ireland collections. The reason I hadn’t been able to find the marriage was because Lois was indexed on Ancestry as Lis Russell. I checked the image of the index, and the name is clearly Lois Russell, so I have submitted the correction. After I had found the marriage entry, I found a Public Member Tree at Ancestry that showed that Frederick and Lois had married 7 July 1924. This family tree had shown that Frederick had died about 1951 in Nairobi, Kenya, so I decided to search for any more information I could find for him. 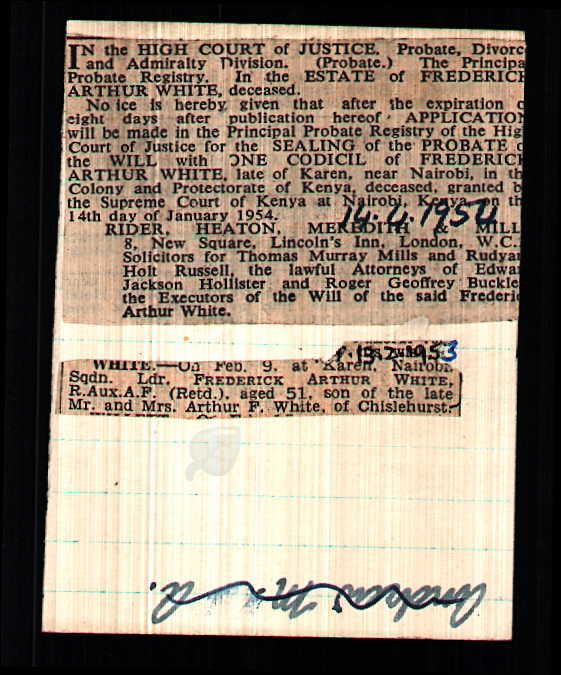 Ancestry.com, “England, Andrews Newspaper Index Cards, 1790-1976,” database and images, Ancestry.com Operations.Inc (http://home.ancestry.com.au/ : accessed 16 Nov 2016); Frederick Arthur White, death date 9 Feb 1953. 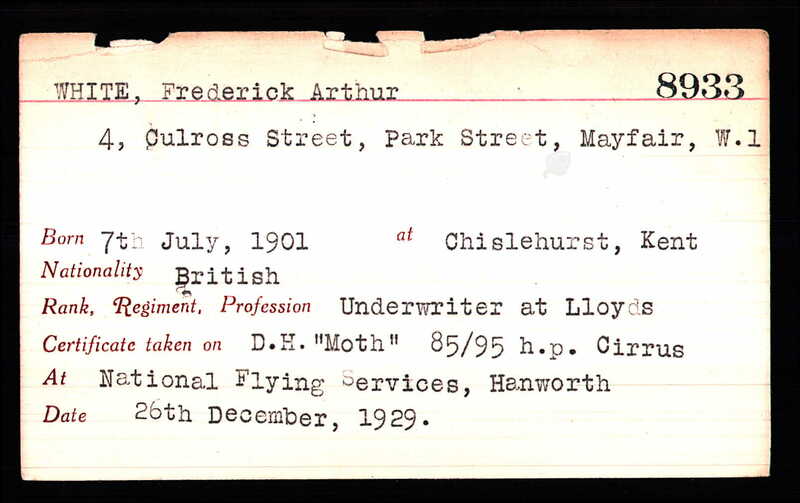 Ancestry.com, “Great Britain, Royal Aero Club Aviators’ Certificates, 1910-1950,” database and images, Ancestry.com Operations Inc (http://home.ancestry.com.au/ : accessed 16 Nov 2016); Frederick Arthur White, birth date 7 July 1901, birth place Chislehurst, Kent.